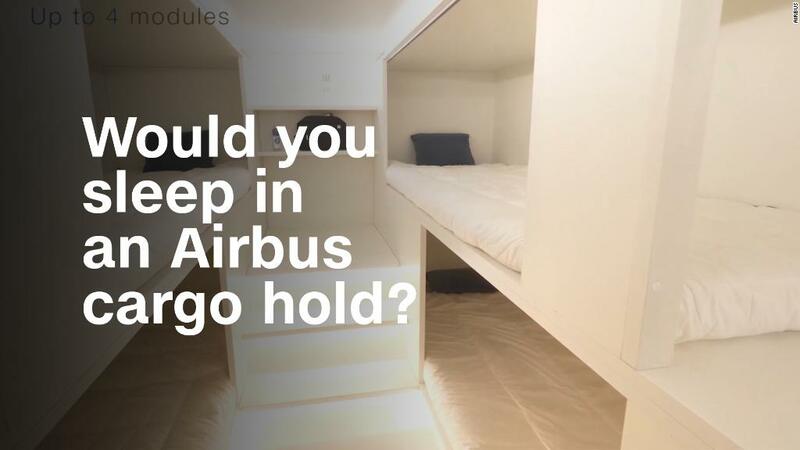 Would you sleep in an Airbus cargo hold? India is having a tough time landing a buyer for its national airline. The government put Air India on the auction block last year, and is offering bidders the chance to buy 76%. It wants to scale back taxpayer support for an airline that has lost money for years. Despite those losses, and growing competition from budget carriers such as SpiceJet and IndiGo, Air India offers a way into a fast-growing aviation market that is projected to be the world's third biggest by 2026. The carrier is still a major player in a country where nearly 300 million people took to the skies last year. Yet, there have been few expressions of interest, and the government has had to extend its deadline for bids to May 31. Here's why it's proving so difficult to sell. A key sticking point for potential buyers is Air India's enormous amount of debt -- more than $7 billion, according to a sale document released in March. The government wants the airline's new owner to take on $5 billion of that. "This is a company that's posted losses for the past ten years, so that would seem on the high side," said Shilan Shah, an India economist at Capital Economics. The carrier has been flailing for several years in India's competitive aviation market, and even needed a $4.5 billion government bailout to stay afloat in 2012. The Center for Asia Pacific Aviation (CAPA), an aviation consultancy, estimates Air India could lose another $2 billion in the next two years. Many of Air India's domestic rivals dropped out of the running in recent weeks, after the government released detailed terms of the sale. IndiGo said it was backing out because it only wants to buy Air India's international operations -- an option the government hasn't offered. Jet Airways, another competitor, told CNNMoney it would not participate in the bidding under the current terms, while SpiceJet CEO Ajay Singh told a local newspaper a purchase "doesn't make sense" for his airline. The government has added caveats to the sale, like its retention of a 24% stake and a seat on the board, that could deter private companies. Indian authorities "need to assure [buyers] that they will remain financial investors and not interfere at all," CAPA India CEO Kapil Kaul told CNNMoney. The government has also barred companies from folding Air India's business into their own, saying it must continue operating "on an arms length basis." Air India and the Indian government did not respond to requests for comment. Buyers outside India are also eligible to throw their hats in the ring, but will have to find a local partner because regulations prevent foreign firms from owning more than 49% of an Indian airline. Singapore Airlines -- which operates an Indian domestic airline Vistara in partnership with the Tata Group -- has expressed interest in Air India, according to local media reports, as have Lufthansa (DLAKY), Etihad Airways and British Airways owner IAG. Singapore Airlines (SINGF), Lufthansa and IAG declined to comment. Etihad, which already has a stake in Jet Airways, did not respond to a request for comment. Even the Tata Group, which founded Air India (then Tata Airlines) back in 1932 before it was nationalized, has reportedly lost interest. The company declined to comment. Despite the challenges, Air India presents "an excellent opportunity," said Kaul, of CAPA India. The airline flies to 93 destinations, including 39 international ones, and accounted for around 17% of all India's international traffic as of September 2017. It carried almost 19 million passengers during the last fiscal year. "India's aviation growth story will be relevant for the next four or five decades," said Kaul. But with no one jumping at that opportunity at the moment, India will likely have to sweeten the terms. Related: India is buying over 1,000 new planes, but can it handle them? Kaul said the government could yet find a buyer by next year if it makes the deal more attractive to investors. "The government needs to minimize risks and give confidence to prospective buyers," he said. Privatizing the carrier may be its last hope, according to CAPA.